Taran is a 36-year-old Fitness Instructor from New Zealand. After two thorough telephone discussions with Taran, we provided letters for his personal physician to organise up-to-date MRI & Standing X-Rays, so that our German Spine Specialists could evaluate his case. The ultimate objective was to provide him a motion-preserving solution that could not be offered in New Zealand. 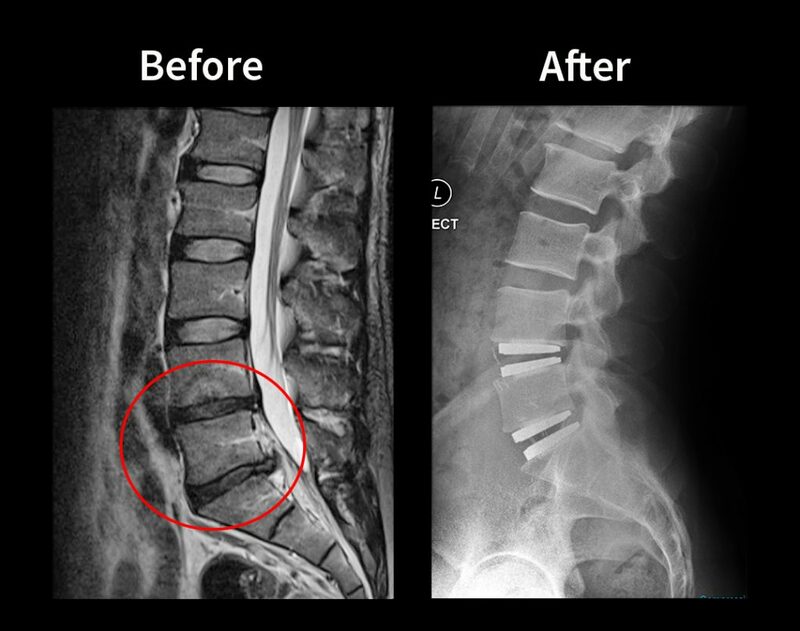 Our surgeons advised for a total discectomy by anterior surgical approach and M6-L Disc Replacement at L4/5 and L5/S1. Due to his young age and physically active lifestyle as a gym instructor and personal trainer, Taran was thrilled that he could avoid a restrictive spine fusion. Of course, sometimes a reconstructive fusion is the best option, only when a patient is not a suitable candidate for Artificial Disc Replacement (ADR). After Taran discussed the surgery with his trusted personal physician, we organised his 2-level ADR surgery for within 8 weeks. Due to timing and commitments, his fiancé was not able to join as his ‘support buddy’, and she would be waiting for him back at home in New Zealand. As you will see in his Youtube Movies, a helping hand was never far away, and Taran would make some great friends during his trip to Germany. Since returning to New Zealand, Taran re-embarked on his goal (which had to be put on hold due to his damaged spine) of completing his fitness centre, where he coaches and mentors clients in reaching their peak physical condition. Taran has generously made himself available as a patient reference, joining our growing network of happy patients who put their hand up to speak with candidates considering motion-preserving surgery in Germany. He remembers how valuable speaking with real people was for him when he was comparing his surgery options.